Social Branding – Build Your Reputation Strategically – Social Strategy Ltd. Organizations have always realized the importance of building and nurturing strong brands. Brands are strategic assets that can benefit the organization in the long term. With social media, businesses discovered different uses of this new medium including social selling, social customer service, social advertising, as well as social branding. As a matter of fact, social branding proved to be probably the most critical uses of social media for businesses of all types. But despite the opportunity it provides, the problem here is, and unlike other channels, social media requires special attention from organizations since they are open to customer direct interaction which is viewed by hundreds of millions of users. Therefore, any mistake in handling the communication or misrepresenting the brand can lead to disastrous results as happened in many occasions. Careful planning and timely execution is a must for a successful branding on social media. A “brand” is a name with the power to influence markets. The opposite to brand is commodity. While brands compete on perceived value, commodities compete on price solely. “Branding” is the marketing practice of creating a name, symbol or design that identifies and differentiates a brand from other brands. 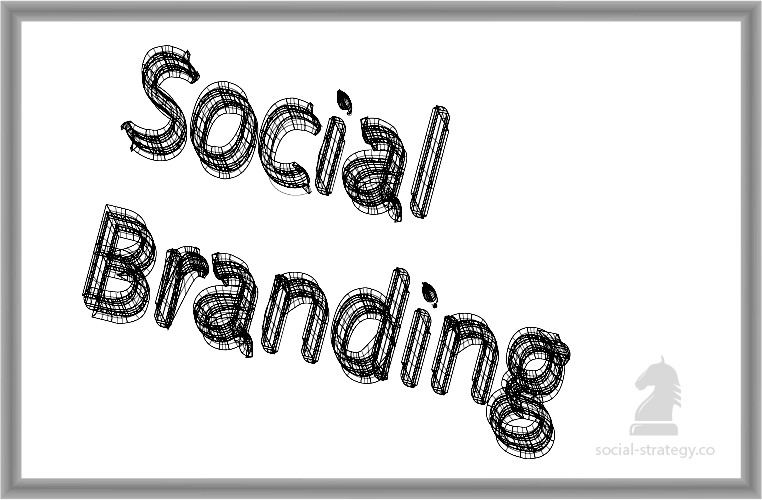 “Social branding” is the use of social media channels and tools to achieve branding goals. I am struggling with branding and digital related matters. I am employed to structure a new programme and have been battling to make my presentation look interesting and engaging. It is a process that needs to brand me as a person in compliance but with the limited knowledge in IT its a serious struggle.